Can Propolis Inhibit Infection Dynamics of Honey Bee (Apis mellifera L.) Viruses in vitro? Honey bees collect resins from plants and use this material, called propolis, to line their nest cavity. Propolis is a complex mixture of plant secondary metabolites (e.g., terpenes), beeswax, and other compounds, and has been shown to inhibit the growth of pathogenic microbes in vitro, as well as reduce the severity of disease caused by bacterial and fungal honey bee pathogens in the colony setting. Since honey bees from colonies that are challenged by pathogens such as the fungus, Ascosphaera apis (chalkbrood), or the bacterium, Paenibacillus larvae (American foulbrood), actively forage for resin, this behavior parallels those displayed by other organisms that self-medicate in response to disease. Unknown, however, is whether propolis has activity against the numerous viruses that are both abundant and prevalent in honey bee colonies. Most viruses known to cause disease in honey bees are (+)ssRNA viruses. These viruses can persist at high titers without presenting overt symptoms until the host is perturbed by some form of stress, such as pesticide or parasitic mite exposure. Although some evidence suggests propolis has activity against viruses that cause disease in humans, much remains unknown as to whether it can inhibit dynamics of honey bee viruses. The research presented here is a step towards determining whether propolis has activity against honey bee viruses in vitro. Preliminary results are from studies using an in vitro model established from the honey bee embryonic cell line, AmE-711. ISNAD GOBLIRSCH, Michael . "Can Propolis Inhibit Infection Dynamics of Honey Bee (Apis mellifera L.) Viruses in vitro?". 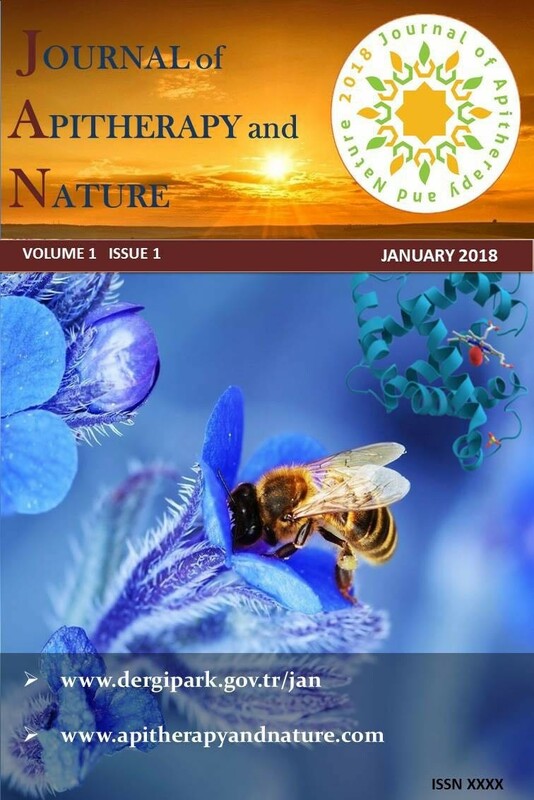 Journal of Apitherapy and Nature 1 / 3 (December 2018): 23-23.